The disgraced surgeon Paolo Macchiarini has now been officially sacked from Karolinska Institutet (KI) in Sweden, while also the entire Ethics Council was dismissed by the new KI Vice Chancellor in the process of creating a new supervisory body, with more extended authority. MS10 Report on the in vivo immune responses to tissue-engineered airway grafts in men. “A chronological sequence of milestones (MS) and work packages (WP) were proposed under the Description of Action. These defined and described all of the technical activities that were to be carried out. The Commission terminated the project before the milestones and work packages referred to in your message were achieved or delivered”. With a help of my website reader’s, I received also Financial Declarations submitted by KI to the EU (2012/2013 and 2013/2014), the travel expenses therein reveal some interesting information. One post from the 2nd period is particularly intriguing, described as “Philipp Jungebluth, Hannover 130912, meeting with Dr. Schreiber (lawyer) and Dr. Möller (med. doc and veterinarian) regarding legal issues with tissue engineering (human, animal studies)”. To find out what this was about, I contacted the Medical University Hannover (MHH) where, as I previously reported, Macchiarini is still listed as adjunct professor, and where his acolyte Jungebluth studied medicine. Stefan Zorn, head of MHH press office, explained to me that according to his investigation, “this has nothing to do with MHH but with a Hannover-based company MDSS”. The company provides “high quality service as a competent partner for regulatory affairs”, while its head is called Ludger Möller. Neither Möller nor MDSS replied to my inquiry if he was the same Dr. Möller whom Jungebluth has visited in 2013/2014 to discuss legal issues of human experiments. Zorn also explained to me on the phone that their adjunct professor Macchiarini never was employed by or received a salary from MHH (and that as such, Macchiarini also cannot be sacked). The surgeon used to earn his income in Hannover by operating patients on the private basis. In fact, Macchiarini stands accused by Italian authorities of having attempted extortion from his Italian patients in Florence, where he requested €150,000 for them to be operated in Hannover. The related trial for fraud and attempted fraud was previously dismissed by the Italian courts, but has now been re-opened. Another peculiar travelling entry from 2013/2014 was “Philipp Jungebluth, Gothenburg Schweden to pick up trachea”. Was there possibly any collaboration with the University of Gothenburg and its team of rather controversial trachea regenerators Sumitran-Holgersson and Olausson? “We started primary tracheal epithelial cell cultures from biopsy, approximately 1,5 years into the Biotrachea project. After the approval for biopsy retrieval from Careggi Hospital, the project was transferred to Karolinska, a new approval was requested […] and finally I got it and I received biopsies: at that time I could start primary cultures but the project was stopped approximately 6 months later”. “The project contained a plan for human treatments, at a stage of the project when all requirements would have been in place: material, epithelium, cartilage, full characterization, ethical approval, authorizations etc… but we did not reach that point. The project was good, despite the termination, the main technical problem was related to the biomaterial, which was not good at all, neither for trachea nor for epithelial cells”. The weird thing is, Macchiarini always seeded bone marrow mesenchymal cells onto the biological and artificial trachea carcasses which he then transplanted into his patients. It is not clear what he offered EU to use for his Biotrachea funding, but it surely was not (or not only) bone marrow cells. “ the exclusive use of bone marrow derived cells, for trachea transplants was not written in the project. In the proposal, there were included cells able to give cartilage, recruitment factors and epithelial cells from human airway”. “The unproven but attractive (both for scientists and entrepreneurs) concept that mesenchymal cells can do everything, probably captivated Paolo Macchiarini also; and he proceeded in that direction. The non- scientific idea that a mesenchymal stem cell can become any cell type, without the need for certain extreme experimental conditions, produced much damage in many different fields of medicine: to patients (some are dead), science, society and its research money and serious scientists. The artificial trachea material described in the Biotrachea proposal was not working with cells, and Macchiarini suggested a different material already known (so the novelty aspect for this nanomaterial funding call dropped). […] The widespread concept that mesenchymal cells can do everything probably drove Macchiarini to think that his transplants could work anyway”. “In the last decade, miraculous tissue and organ regenerations have been described in humans based on the use of “stem cells”, which are purported to have supernatural therapeutic potential. Medical breakthroughs are and will always occur in small, consecutive steps. In regenerative medicine engineering of corneal implants may be this first step. Corneal epithelial implants can be nourished by diffusion and don’t need blood vessels. Engineering of skin grafts may be a next step. Skin grafts are much more complicated because not only the epithelial layer but also a part of the dermis, with its blood vessels, needs regeneration. Let’s start with these first steps. With our current knowledge, dreaming of whole organ regeneration should be seen as fantasy”. Delaere has been trying to prevent clinical trachea regeneration trials on human patients whenever he saw those as unscientific and, in his own words, “fraudulent”. Delaere accused of misconduct Macchiarini as well as his close collaborators at UCL Martin Birchall, professor of Laryngology, and Alexander Seifalian, professor of Nanotechnology and Regenerative Medicine. Birchall performed together with Macchiarini tracheal transplant procedures on several patients in between 2008 and 2012, they published their reports subsequently in The Lancet. Seifalian (his self-portrait at The Guardian here) specialises in the production of artificial tracheas from polyhedral oligomeric silsesquioxane (POSS), which Pellegrini and apparently also EU deemed just as unsuitable as the one produced by Harvard Apparatus together with its inventor Macchiarini. A TED Med talk video shows Seifalian creating an artificial trachea after Macchiarini’s request, apparently without ever having ever seen a trachea previously. Seifalian’s nanotechnology-made organ was then seeded with bone marrow cells and implanted by Macchiarini into a patient at KI in Sweden in 2011. Some of the evidence Delaere submitted to UCL are available here, here and here. “Professor Birchall should be urged to give greater consideration to the need for clearer and more representative presentation of information and evidence in his published reports in order to support his assertions”. As Delaere pointed it out to UCL, while Birchall and his co-authors proclaimed in that Lancet publication “the success of the stem-cell-based tissue engineered tracheal implantation and regeneration procedure that had been employed, they had omitted to clearly identify and acknowledge the stent and surrounding vascularised omentum tissue wrap and the essential role and contribution of these elements”. Simply put, Birchall’s stem cell treatment was at the very best utterly irrelevant to the therapy, which otherwise relied on “traditional” procedures. “That the allegation of research misconduct made by the Complainant [Delaere, -LS] as it pertains to Professor Alexander Seifalian be regarded as having no substance and mistaken, and that no further action therefore be taken”. I provide the June 2015 dated draft of the entire 9-page UCL report here. 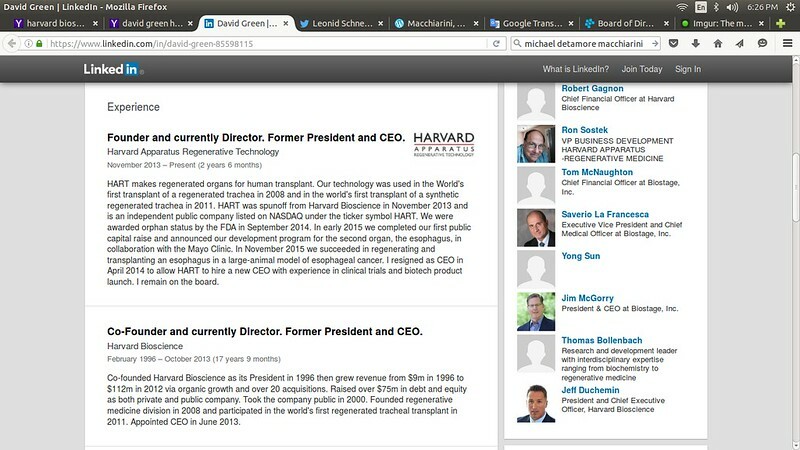 Both Birchall and Seifalian were possibly Macchiarini’s UCL partners at Biotrachea. The loss of this funding cannot be that grave for Birchall though. Further well-funded clinical trials with stem-cell regenerated trachea and larynx are about to commence, under his leadership. One is the MRC funded project RegenVOX, set to run from June 2013 till April 2018 and funded with almost GBP 3 Mio. There, Birchall is currently recruiting ten “clinical trial volunteers” for “autologous stem cell based, tissue engineered partial (non-moving, but anatomically matched) laryngeal replacement grafts”. According to Delaere, the phase I/II clinical trial RegenVOX uses “stem cell based tissue engineered laryngeal implants based on the same decellularization-recellularization approach” as the tracheal transplants. The principal investigator is Professor Martin Birchall (UCL, UCL Hospital NHS Foundation Trust) with additional trial sites at the University of Manchester/University Hospital of South Manchester NHS Foundation Trust (UK), Università degli studi di Brescia (Italy), Medical University of Vienna (Austria) and Instytut Gruzlicy I Chorob Pluc (Poland). Other parties include the Cell Therapy Catapult (pan-European regulatory processes and lead clinical research activities), TMC Pharma (regulatory affairs and lead clinical research activities), NHS Blood and Transplant (tissue retrieval and trachea scaffold manufacture), Klinikum Rechts der Isar der Technischen Universität München (stem cell processing and final product release) and Euram (project management)”. Update 30.03.2016: according to this press release, the second trachea-production facility in Munich will be the TUMCells centre, led by Martin Hildebrandt:”first patients should be able to participate in the trial in 2017″, with the goal to obtain European market permit in 2019 and to offer the commercial product in 2020. “Autologous mesenchymal stromal cells and airway epithelial cells are used to reseed the decellularised tracheal scaffold, which is then used to replace the diseased portion of the patients trachea”. “The engineered trachea is an example of blatant scientific deception. […]There is no scientific foundation whatsoever to assume why stem cells would support airway tissue regeneration in this setting. In addition, even if a trachea-like organ would be generated, it would irrefutably fail after implantation if adequate blood supply had not been restored. As expected, the implantation of de-cellularized and synthetic scaffolds resulted in extremely high morbidity and mortality rates (14). At this point in time, this form of airway regeneration should be regarded as hypothetical and scientifically unfounded (15,16)”. “We would like to reaffirm that the Commission services scrutinised every aspect of the work on BIOTRACHEA until termination, and there has been no suggestion that EU funding was used for any purpose that has been harmful towards citizens. A chronological sequence of milestones (MS) and work packages (WP) were proposed under the Description of Action. These defined and described all of the technical activities that were to be carried out. The Commission terminated the project before the milestones and work packages referred to in your message were achieved or delivered. The policy of the EU on research involving human beings is that all applicants’ research projects and proposals must comply with applicable international, EU and national law and ethical principles that govern the area of research that is the subject of their work, including on human beings. 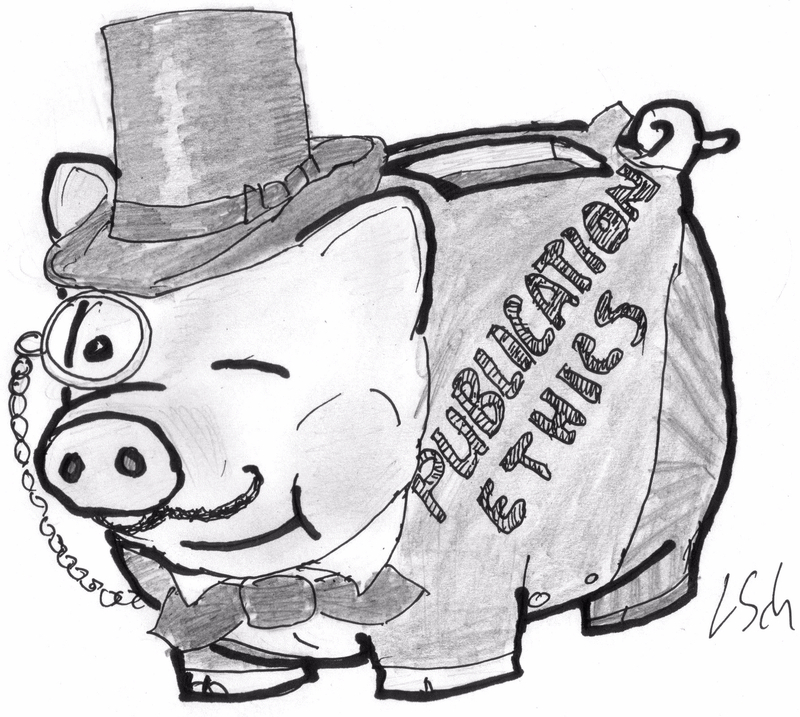 The Grant agreement for Biotrachia stipulated a separate ethical assessment through the establishment of an ethics committee leading to binding obligations that could later on be checked during ethics checks, reviews and audits. However, the project failed to establish the required ethics committee by the time stipulated in the milestones, which was one of the reasons for the early termination of the project. During Period 1 (from month 1 to month 12), the consortium focussed on developing a number of platform technologies, and a human biopsy sample was obtained. This procedure did not involve the testing in humans of any new technology that the project aimed to create. This can therefore be seen as a normal part of the initial stage of a preclinical development process. “The procedure in the case of project termination is that the Commission requires reimbursement of all or part of the financial contribution made by its services, taking into account the nature and results of the work carried out and its usefulness in the context of the specific programme concerned. The legal basis for requiring reimbursement of all or part of the financial contribution made by its services in the event of termination is underlined in the FP7 Grant Agreement for the project (Article II.39 : “Financial contribution after termination and other termination consequences”, Annex II General Conditions). As part of the procedure, the consortium must prove that any non-recoverable funds constitute “eligible costs incurred and accepted up to the effective date of such termination and of any legitimate commitments taken prior to that date, which cannot be cancelled”. Birchall and (Seifalian) did not disclose or the committee did not record that the female trachea transplant at UCL in 2012 got Seifalian’s plastic trachea, it failed and she died. NO preclinical work supported Seifalian’s POSS/PCU trachea, the same one that Mr Beyene got at KI. If she had recurrent tracheal cancer and it was incurable, why the hell would he put her through a high-risk grueling experimental surgery? What about approval from UCL research ethics committee and MHRA? Birchall told the committee she died of an acute event unrelated to the trachea transplant, but he couldn’t be certain without an autopsy which the family declined. The young girl died about 1 month after the transplant according to the Gazette Live story above. Birchall told Science (cited above) that she died from a sudden massive bleeding in the chest. One of the experts commented that this could well be related to the transplant. You noted funding for trachea transplants has been awarded. However funding for a phase 2 trial was announced less than 30 days after funding for the phase 1 trial was announced. It’s even more perverse because the phase 2 trial was funded/announced before there was confirmatory data from the phase 1 and even before the phase 1 trial opened, which is supposed to happen in the first half of 2016. How the hell does this work??? What am I missing here? Research Impact report 2014 for Saifelian’s group at UCL – keep in mind Andemarian Beyene, who got the POSS/PCU trachea, died on 24 Jan. 2014 following 8 months in hospital. “Introduction of new therapy: Although it is possible to surgically resect tracheal tumours, most are already of an inoperable size by the time of diagnosis. As such, the synthetic trachea addressed a pressing clinical requirement for alternative therapeutic options. In 2011, a patient with advanced tracheal cancer who had exhausted all existing treatment options was referred to cardiothoracic surgeon Professor Macchiarini at the Karolinska Institutet, Stockholm. In turn, Macchiarini approached Seifalian for help. Seifalian used his POSS-PCU polymer [output 1] and knowledge of developing and seeding 3D scaffolds [output 4] to manufacture the synthetic trachea implant, which consisted of a 12cm trachea along with two bronchi — the largest such implant ever attempted and the world’s first wholly tissue-engineered synthetic organ transplant [a,b]. By using the patient’s CT scans, Seifalian was able to model the implant on the exact dimensions of the patient’s own trachea, making implantation significantly easier. Mechanically, the synthetic trachea had similar properties to a native organ, including ring-like cartilage structures, with porous materials between them allowing 15% stretchability. UCL’s researchers developed a bioreactor for the organ’s development, which dripped the patient’s own stem cells onto the porous scaffold under physiological conditions in an incubator. Because it used his own stem cells, there was no need for the patient to take the immunosuppressive drugs required after donor transplants. The trachea and bronchi were implanted in June 2011; more than two years on, the patient has a functioning organ and is doing very well. Describing the implantation and its effects, Professor of Laryngology at the Royal National Throat, Nose and Ear Hospital said: “This is the first time that a trachea made from a synthetic scaffold (here repopulated using stem cells), has preserved life and quality of life for longer than a few months…follow up is now 2.5 years” [c]. I’m guessing there’s some reason why Saifelian and that Professor of Laryngology – Birchall – are misleading everyone by claiming a dead patient is doing well, and enjoys good quality of life no less. What reason would that be? Just noticed that Birchall trashed the approach he’s currently testing on humans in the RegenVox trial and will test in the soon to open INSPIRE (should be EXPIRE) trachea transplant trial. I can’t link to the URL for the pdf download. Also correcting the spelling of Dr Seifalian’s name, for which I apologize. “. . . Based on its preclinical data, Biostage identified life-threatening conditions of the esophagus as the initial clinical application to advance its Cellspan esophageal implant. Biostage plans to file an Investigational New Drug (IND) application with the U.S. Food and Drug Administration (USFDA) in late 2016, seeking to initiate clinical trials in humans. 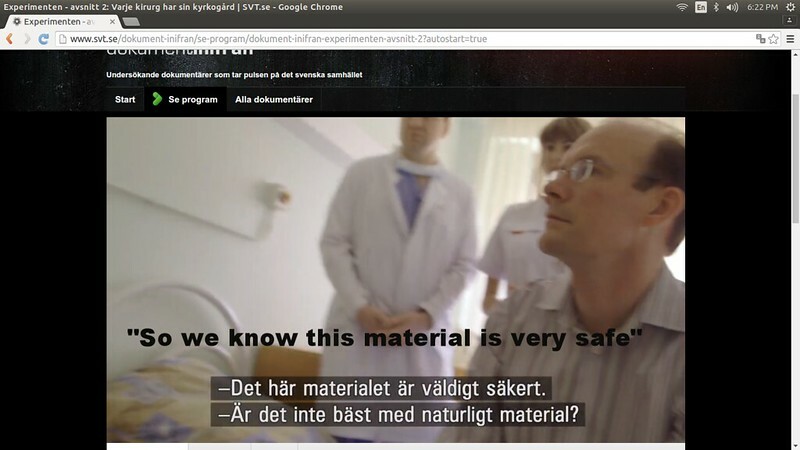 Scene in same where he responds to her comment on the implants appearance by explaining that it is medical grade plastic, saying “So we know this material is very safe”, in English. A few seconds later he says “This you cannot get, naturally, so we have to make it”. Then he shows her pics on his phone of Beyem. “He received his trachea one year ago”. I am curious about what “earlier generation tracheal product” they are referring to and what “Proof-of-concept” means. In June 2012, our InBreath bioreactors were used for the world’s first two successful laryngo-trachea transplants . . . Both of the Russian patients required laryngo-trachea transplants, whereby the scaffold mimics the shape of the windpipe from the larynx to the point where the trachea branches into the two bronchi which lead to the lungs. Both patients had difficulties breathing and talking and had suffered repeated infections prior to the surgeries. . . . In December 2013 and in June 2014 additional patients received the HART-Trachea in surgeries conducted in Krasnodar, Russia. One of those patients was a re-transplant, where a scaffold that was first transplanted into the patient in June 2012, as described above, was removed and replaced by a HART-Trachea. The other patient had a trachea transplant for the first time. “Leading up to the time of the Separation, we engaged in activities with a surgeon, Dr. Paolo Macchiarini, then employed by the Karolinska Institutet in Sweden, one of the world’s most respected medical institutions, and who was at that time considered to be a world-renowned regenerative medicine pioneer. We provided organ bioreactors and organ scaffolds to Dr. Macchiarini’s laboratories to conduct cell biology research and in return Dr. Macchiarini was to provide us with scientific data to advance the development of our bioreactors and tracheal scaffold. We also provided bioreactors and tracheal scaffolds in support of several compassionate care human surgeries performed by Dr. Macchiarini. We collaborated with Dr. Macchiarini in an effort to advance our product research and development with the assistance of a highly-acclaimed researcher and a well-respected institution. Regarding compassionate use human surgeries, we relied on the due process that involved a team of physicians and the Institutional Review Boards of the institutions where the surgeries were performed. We developed no part of any clinical protocol in any manner. Further, all surgeries involving any of our products or product candidates were conducted under the compassionate use system governed by the rules and regulations of each institution. Dr. Macchiarini was not employed by or affiliated with our company, and we did not pay him any wages or consulting fees. In June 2014, shortly after our Chief Medical Officer joined our company we ceased support of any human surgeries with Dr. Macchiarini. In addition, in November 2014, we formally announced that we would no longer be supporting or providing products to the human surgeries being performed in Russia, based in part on our belief that, due to the design of the Russian hospital’s study and the nature and extent of the follow-up medical data made available to us, additional surgeries in Russia would provide less meaningful product development data than the work being done in our U.S. research and preclinical programs at that time. . . . . I am just a lay-person, but a lot of this doesn’t seem to agree with what Leonid has written on this blog. Wowee an esophagus in two weeks! Since Suchitra Sumitran-Holgersson and her team can regenerate a vein in 7 days, the HART/Biostage claim must be true. HART goes on to explain that the source of cells for the new, aka not the tainted lethal former scaffold, is patients’ adipose tissue. What are these people smoking? Nothing like the threat of patent litigation to “discover” new technology. Thereafter HART made its own plastic nanospun tracheas (supposing if only they muttered the correct spells around the cauldron their version of the same thing wouldn’t kill patients). The first use was Hannah Warren in April 2013, and she died three months later. In July 2013 Yesim got a second transplant; it was a failure as well. Then there was a re-transplant in Krasnodar, either Julia or Alex. In 2013-14 Hannan and Dmitry O. got HART’s plastic trachea and there was another re-transplant in Krasnodar. Hannan is dead (I believe), as are Julia and Alex. Dmitry got a much smaller implant and it was removed. I count 8 victims, er patients, not five, as in the 2015 10-k filing Donbright quoted above, and 30 month old Hannah is not an adult (“five adult patients”). Federal law requires that information filed with SEC be accurate. 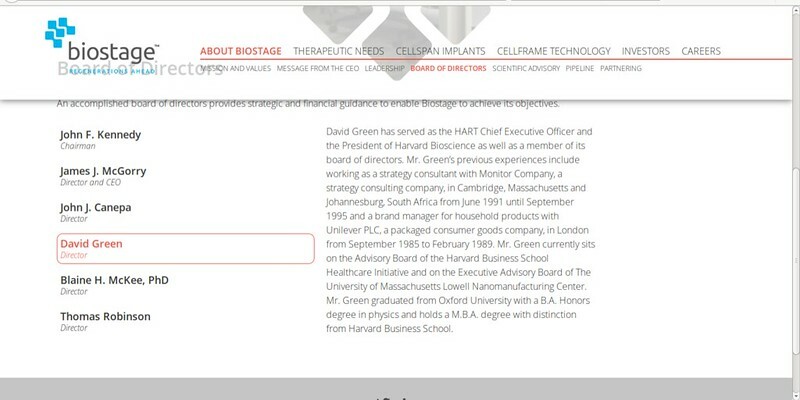 What did HART/Biostage tell FDA about their dog-breath airway transplant system, that got orphan drug designation in Sept. 2014? My understanding was that Professor Seifalian was involved with one patient and that patient lived 2 years 8 months. the other was transplanted by other two and POSS-PCU was not used for the other two cases, only for the first patient. Oddly the authors assert all 3 transplants were performed under Specials licenses approved by the UK MHRA. Specials are limited manufacturing licenses for non-routine use of products not approved for marketing that are dispensed on the authority of a licensed physician. Specials are very similar to UK Hospital Exemptions but one key difference is that unlike products made under a Hospital Exemption license, Specials products cannot be exported. This raises obvious questions about how the POSS/PCU scaffold used in the first transplant at Karolinska was obtained.